Probably arriving with the first Spaniards. Jews have lived in Mexico since the fifteenth century. Their history in Mexico may be divided into three significant time periods: the fifteenth, eighteenth, and twentieth centuries. The first Jews arrived about thirty years after the start of the Spanish Inquisition, during which thousands of New Christians, or Conversos (Jews who had converted to Catholicism), were burned at the stake as heretics. Also known as marranos, they often continued practicing Judaism in secret. All practicing Jews were banished from Spain in 1492, many emigrating to Portugal. Historians believe some converted Jews came with Hernán Cortes when he conquered the Aztecs in 1521. 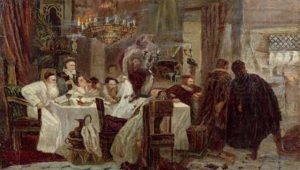 In 1531 a group of Spanish Jews and Conversos who had found refuge in Portugal emigrated to Mexico, then called Nueva España, under the rule of Royal Viceroy Antonio de Mendoza, where they believed they could retain their historical Spanish identity and continue practicing Judaism. 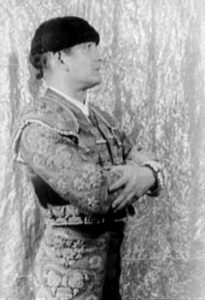 Because Mendoza was a common name among Spanish Jews, some historians suggest the Viceroy had a Jewish or Converso background. Until 1571, those who had immigrated to the New World were able to practice Judaism openly. But that year marked the beginning of the Mexican Inquisition, an extension of the one in Spain. Again both practicing Jews and Conversos lived in fear. However, the Mexican Inquisition was not as bitterly hostile as the Spanish Inquisition. Records indicate that fewer than one hundred were tortured and executed by burning. In 1579, King Philip II of Spain established the Kingdom of Nuevo Leon (present day Nuevo León, Tamaulipas, and South Texas) a colony north of Nueva España to be governed by Luis de Carvajal, a Portuguese/Spanish nobleman. To help populate the colony, both Conversos and practicing Jews were welcomed. Within sixty years, according to historical evidence, the descendants of the original settlers moved to what is now New Mexico, Arizona, and California, then still part of Mexico, bringing Judaism with them vestiges of which survive to this day. Tragically, Carvajal died in a Spanish prison as a heretic in 1596. One recent manifestation is that of Father William Sanchez of Alberquerque. As a boy, he never understood why his Catholic family spun tops on Christmas, shunned pork, and spoke in hushed tones about ancestors who left medieval Spain. After watching a genealogical television program, Father Sanchez tracked his DNA and discovered that he and his family were part of New Mexico’s crypto-Jews, descendants who maintain some Jewish traditions of their ancestors while adhering to Catholicism. 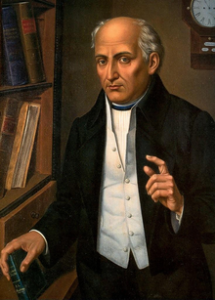 Two genealogical studies, Archivo General de la Nacion de Mexico and the Ramo de la Inquisition, suggest that Father Miguel Hidalgo y Costilla, the father of Mexican Independence, had a Converso background and that Bartolome de las Casas, a Bishop who fought to free slaves in Nueva España, also had Jewish ancestors. Their families were sincere converts but it is ironic that the expulsion of Jews from Spain ultimately led to Spain’s loss of Mexico. Many adventurous Jews immigrated to Mexico between 1700 and 1865 to escape the grinding poverty and anti-Jewish attitudes of life in the Old World. While they were not allowed to become citizens, a right granted only to Catholics, many who came during the one hundred sixty-five years became peddlers, similar to those who traveled to the West of the United States. On the backs of burros or mules, they carried housewares, clothing and novelties to remote villages of Mexico. In 1865 Emperor Maximilian I issued an edict of religious tolerance and invited a number of German Jews to settle in Mexico. Yet as of 1867 there were only about twenty Jewish families in Mexico City although there were probably more in the rest of the country. Following Maximillian’s execution by firing squad in 1867, Benito Juarez, the liberal President of Mexico, enforced the separation of Church and State. Non-Catholics were allowed to establish themselves in Mexico and in 1882, after the assassination of the Russian Tsar, Alexander II, a significant numbers of practicing Jews from Russia entered the country. Large numbers of Jews arrived after World War I, fleeing pogroms in Russia and Eastern Europe. Some, descendants from medieval Jewish communities along the Rhine, were called the Ashkenazim, a term associated with northern Europe and Germany. They were fleeing pogroms in Russia and Eastern Europe. 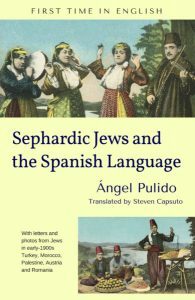 A larger group, descendants from Jewish communities in the Iberian Peninsula (modern Spain, Portugal, and Andorra), were called Sephardic, from sephardit which means Spanish in modern Hebrew. They escaped from the collapsing Ottoman Empire, many also from Turkey and Morocco. Because most of the Sephardic Jews had retained their Spanish heritage, they spoke Ladino, a dialect of Spanish, making life easier than their Ashkenazic counterparts. All immigrants faced economically difficult lives and Jews faced the same financial problems as all Mexicans. But coming from a primitive part of the world, they had no difficulty in adapting to conditions in Mexican villages. In fact, Mexican Catholics and Jews accepted each other since in both groups, the family was the predominant social group. Why did Jews choose Mexico as a destination rather than the United States? Mexico was attractive to them. Many had relatives or friends already settled in the country. And in 1921 and 1924, United States enacted laws restricting immigration. From 1920 to 1930, Jews in Mexico enjoyed a period of stability during which they prospered. The only recorded incidents of anti-Semitism came in the 1930’s, when neo-Nazi right-wingers, financed from Berlin, staged anti-Jewish demonstrations in Mexico City. The demonstrators gained little support from the Mexican people. Today, Mexico has a Jewish community of between 40,00-50,000 with about 37,000 living in Mexico city. The majority of them, Mexican citizens who practice Judaism, are descendants of people who, from 1881 to 1939, found refuge here. Because Mexican economic prosperity allowed religious tolerance, Jews enjoyed the same rights as any other Mexican citizen. In Mexico City there are more than twenty synagogues, several Kosher restaurants and religious schools where many Jewish youth receive their education. Jewish communities can also be found in Guadalajara , Monterrey, Tijuana, Cancun and San Miguel deAllende. In early March, 2000, Pope John Paul II called anti-Semitism “a massive sin against humanity” and the Holocaust “an indelible stain on the history of the last century.” In June 2003, President Vicente Fox passed a law that forbids discrimination, including anti-Semitism, putting into the law what has been practiced for years. Jews have served in positions in the Federal Government. From 2000 to 2004, Jorge Casteñada Gutman was Foreign Minister. From 2000 to 2005, Santiago Levy Algazi was director of the Social Security Institute. 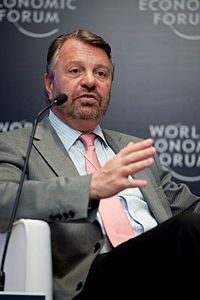 Others are prominent members of the Chambers of Commerce in Monterey, Guadalajara, and Tijuana, whose former president of the City Council was Marcus Levy. David Saul Gaukil, a member of the Tijuana City Council, said, “No one [has ever] commented adversely that I am Jewish.” Although Tijuana has a population of 2,000,000 its Jewish population is only about 2,000. Tijuana also has Congregacion Hebrea de Baja California made up almost entirely of converted Mexican Catholics. Its non-ordained leader, Carlos Salas, conducts spiritual outreach to Mexicans of Jewish ancestry and crypto-Jews practicing in secret. “Franklin is brave with a cold, serene and intelligent valor.” He died in 1976, after a career fighting bulls and presenting bullfights on American TV. In addition to Mexico City, substantial Jewish communities exist in Guadalajara and Monterrey. The Chapala/Ajijic area is home to a group of ex-pat American Jews who hold religious services at their own synagogue and occasionally interact with their Mexican Jewish counterparts in Guadalajara. The combination of tenacity on the part of Jews and tolerance by Mexicans, both official and as individuals, has permitted Judaism to put down deep roots. Today, Jews have much in common with their fellow Mexicans. Both groups are sincerely religious and family oriented. Both were historically victims of oppression and tyranny. Ultimately, however, like all those who live in Mexico, their future depends on Mexico’s social and economic progress. This entry was posted in Jewish History. Bookmark the permalink.